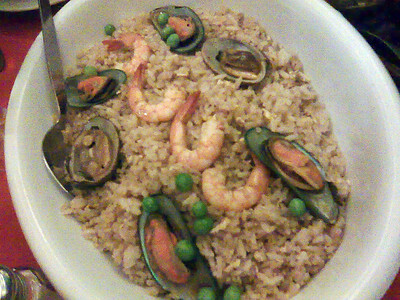 Zamboanga Restaurant is famous for its seafood offerings. We decided to check it out and see if it's worth the supposedly high-end prices. Ambience-wise, the place looks luxurious without being stuffy. There is a stage in the first floor for the Cultural Show that's held there every 8-9 PM. 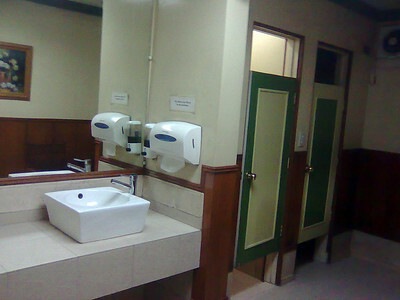 There is a smoking (upper level of the split-level first floor) and non-smoking area. The place actually looks very intimate... however, the serenading group entertaining diners take away much from that sense of intimacy. But the group is good and the restaurant patrons, composed mostly of foreigners, really enjoy being sung to while dining. The cultural show is also very interesting. The dances and choreography aren't what you typically see. It was the first time I watched male performers doing the malong dance, which absolutely thrilled the guests as the dancers showed the many ways a malong can be donned (and all over the body too). The staff are all courteous and friendly. Unfortunately for us, the famous curacha crab was not available. 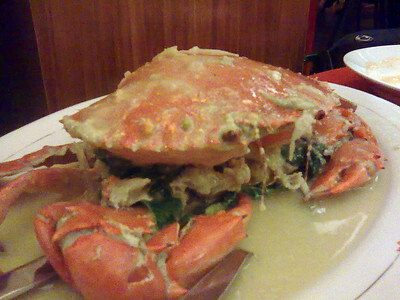 Curacha is a type of crab that can be found only in Zamboanga and resembles a cockroach, hence the name. Now, for the food. 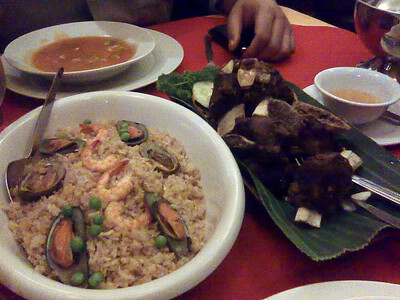 We ordered Zamboanga Rice, Vegetable Soup, Guinataang Crab and Crispy Beef Ribs and fresh huko juice. That cost us around P2k (crab dishes cost an average of P135/100 gms. 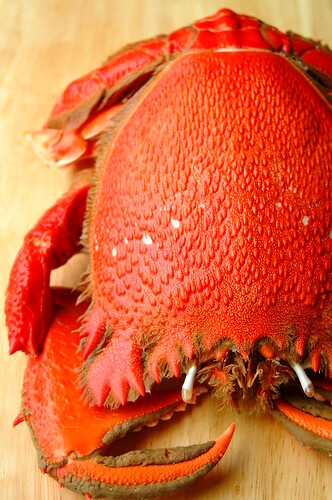 and their crabs weigh an average of 600 gms.). The crispy Beef Ribs were really delicious, tender and tasty and an order can be enjoyed by 2-3 persons. But everything else was just so-so. I even find that Aling Tonya's in any Dampa or Seaside branch cook better crabs in coconut milk (and for the price we paid for it, we cooked have gotten more than one crab!). But to be fair, the seafood served at the restaurant is really fresh. I actually suspect that they make better tahong (mussels) and halaan dishes. I think it's really the expats and foreigners who'd like the place, mostly for the cultural show. And I guess those who don't want the noisy atmosphere in Dampa and Seaside seafood eating places.